Rmd d979358 John Blischak 2018-06-15 Use all lowercase variables for dox phenotypes. 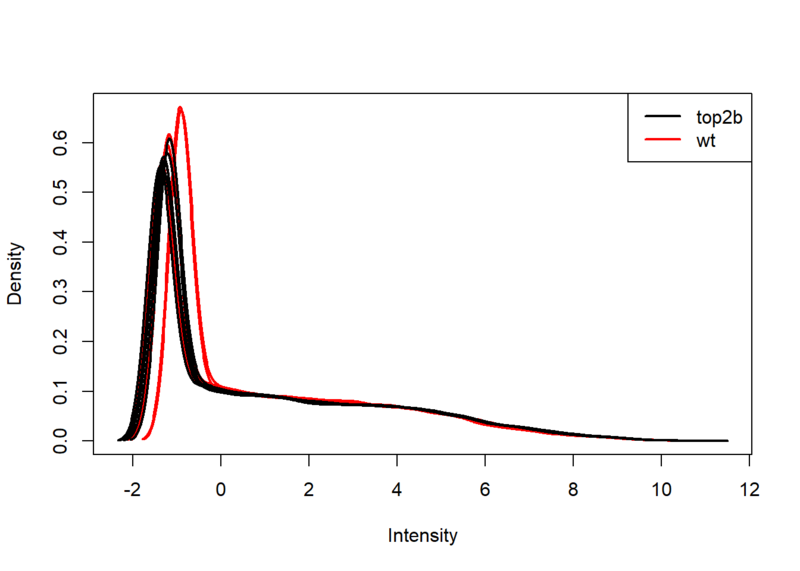 Rmd c361225 John Blischak 2018-05-30 Experiment with normalizing and filtering doxorubicin data. html 67f13a4 John Blischak 2018-03-09 Build site. html b2dc653 John Blischak 2018-01-25 Build site. Rmd dc82382 John Blischak 2018-01-25 Minor updates to Ch 04 analysis. html 7f4d46b John Blischak 2018-01-11 Build site. 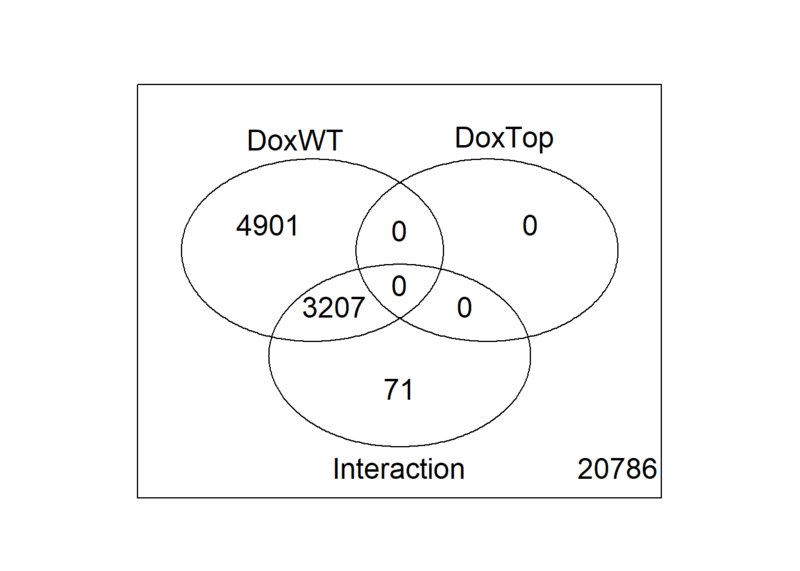 Analayze microarray data from Zhang et al., 2012, which measured gene expression in hearts from wild type and Top2b null mice treated with doxorubicin or a control. Describe the scientific question, the experimental design, and the data collected for the 2x2 factorial study. 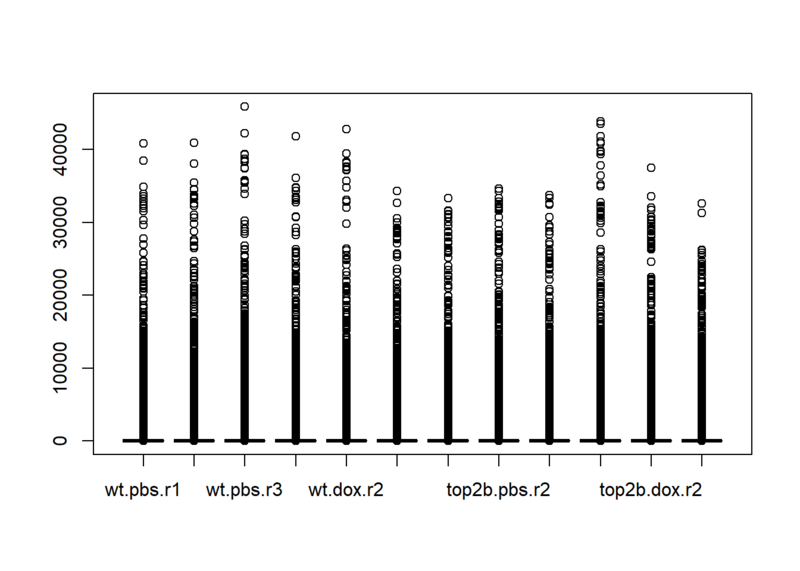 Create a boxplot of the expression level of Top2b to confirm the null mice have lower levels of Top2b expression. 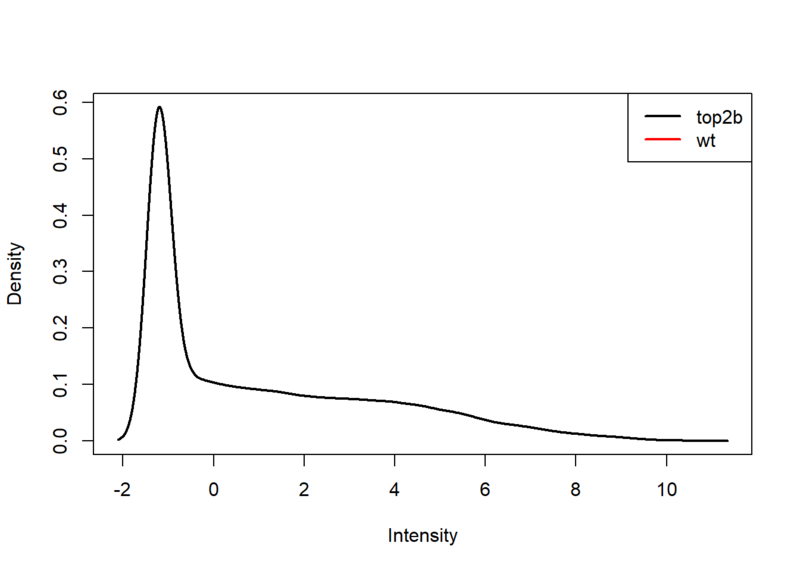 Use pData and table to access and explore the phenotype measurements to be used in the plot. 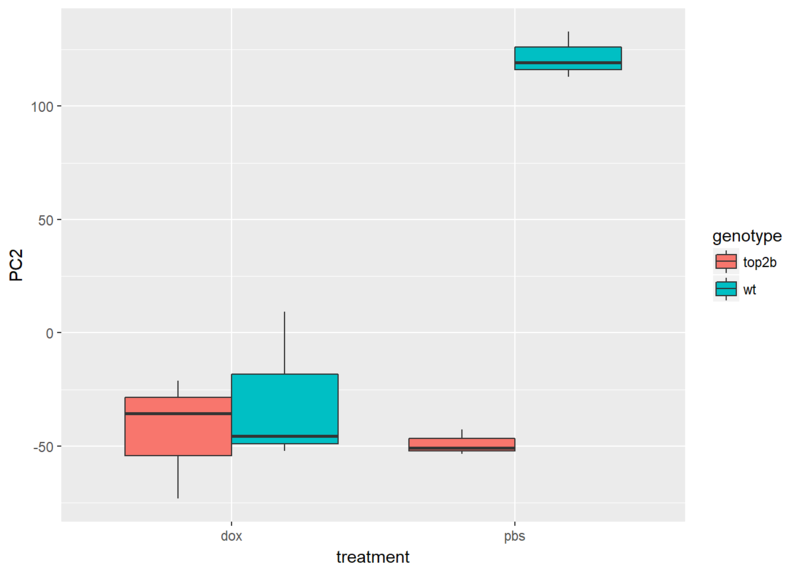 Use boxplots as an alternative to density plots for checking the distribution of gene expression levels. 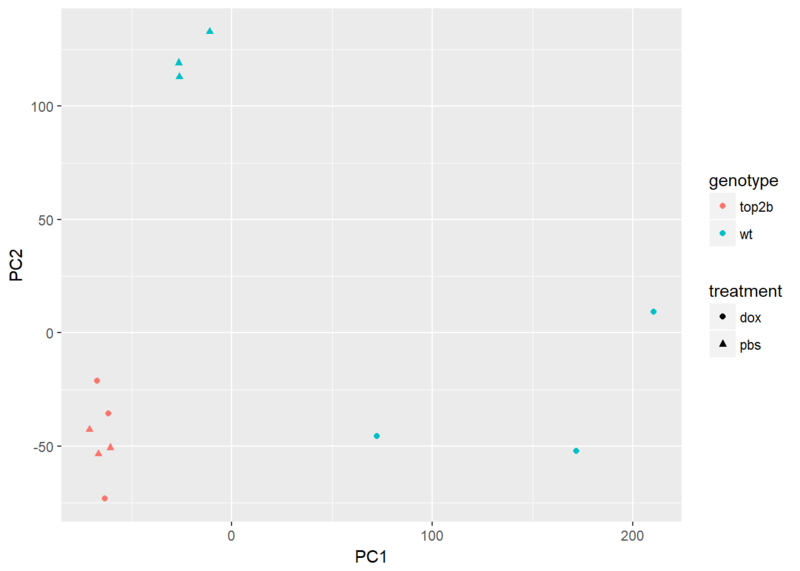 Note pro (easier to see which sample belongs to each distribution) and con (hides any multimodality). 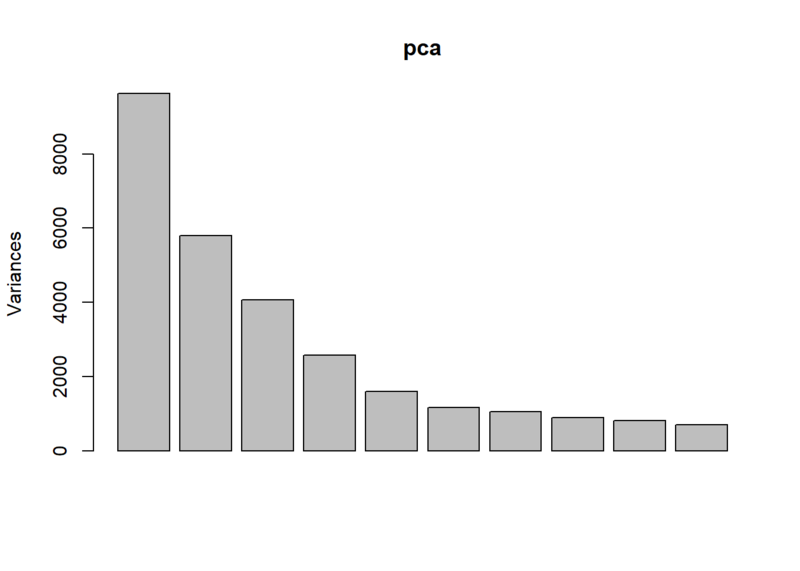 Use prcomp to calculate PCs and plot PC2 vs. PC1 to confirm that the samples are separated by genotype and treatment. 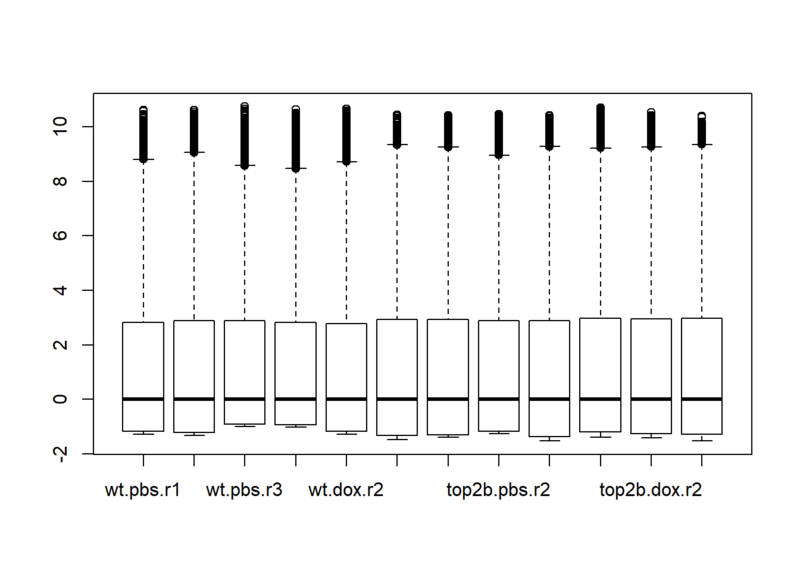 Note that Top2b mice all cluster with untreated WT samples since they are resistant to the treatment. Discuss how to construct a design and contrasts matrix for a 2x2 factorial design. Note how to create a combined factor and how to write the contrast for the interaction term. Create a combined factor using paste. Use model.matrix to create a linear model with 4 binary variables (group-means parametrization). 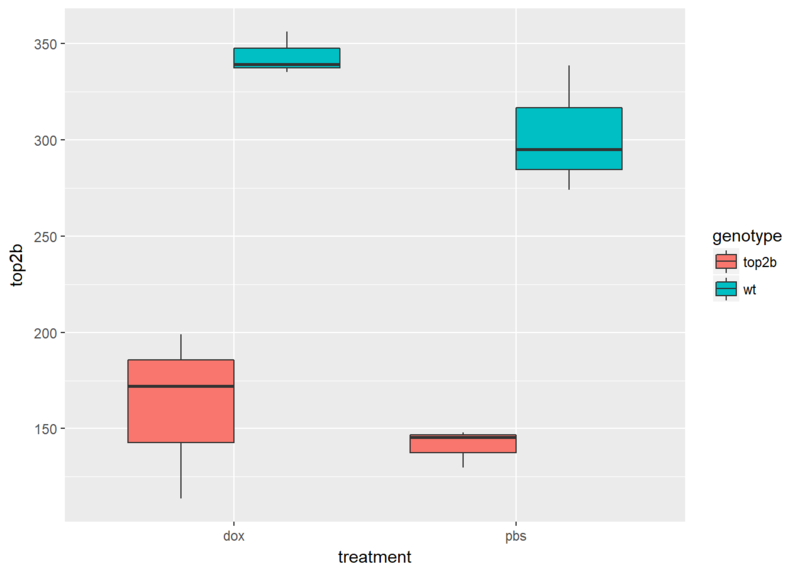 Use limma::makeContrasts to test the main effects and the interaction between genotype and treatment. 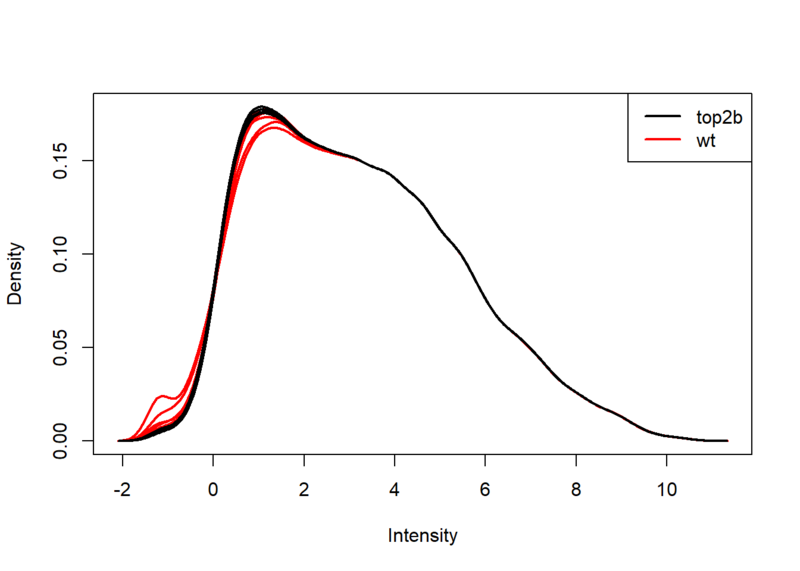 Use limma::lmFit, limma::contrasts.fit, limma::eBayes, and limma::decideTests to fit and test the model. Use limma::vennDiagram to visualize overlap of differentially expressed genes. Describe common approaches for testing for enrichment of gene sets. Discuss Gene Onotlogy categories and KEGG pathways. Introduce Fisher’s Exact Test. Stress the importance of choosing the correct background set of genes and caution against over-interpretation (especially for directional effect). Mention at the end that there are more sophisticated algorithms such as limma::camera, limma::roast, and goseq::goseq. 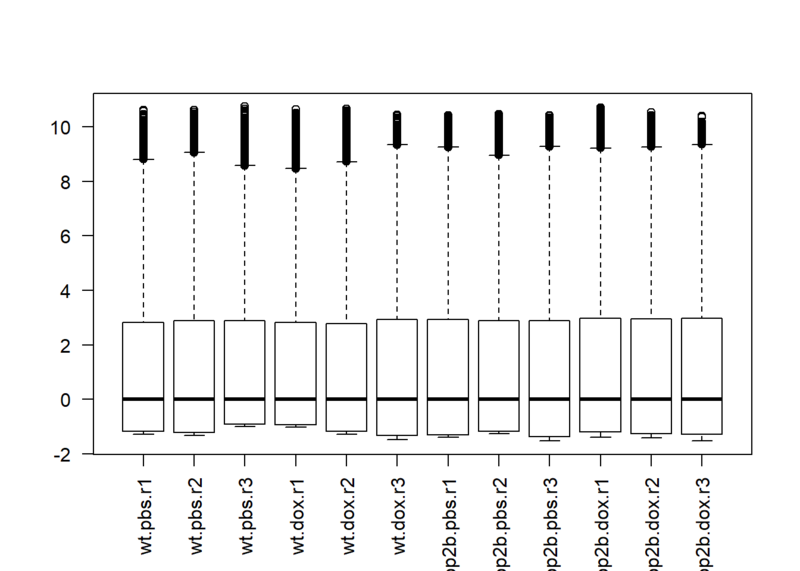 Use limma::kegga and limma::topKEGG to test for enrichment of differentially expressed genes in KEGG pathways. 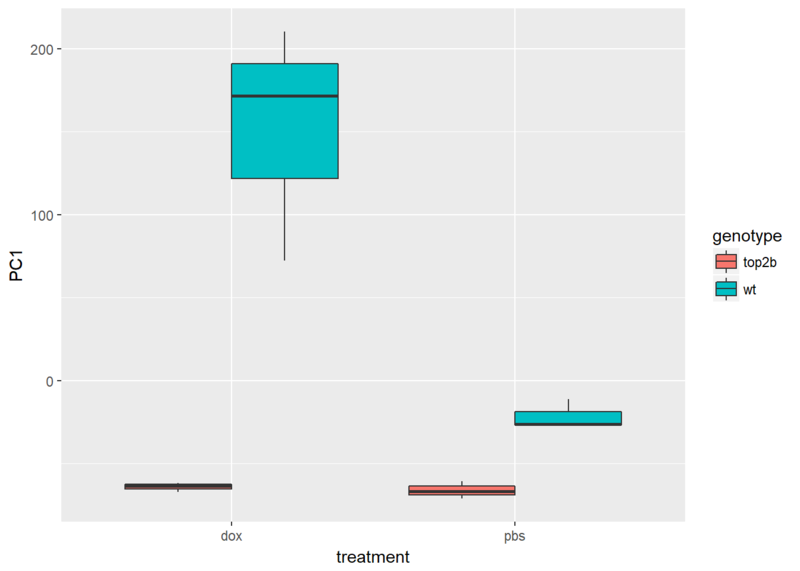 Use limma::goana and limma::topGO to test for enrichment of differentially expressed genes in Gene Ontology categories.